The new iPhone 4 I’ve been testing for about a week and a half — along with the major refresh of the mobile operating system software at the core of recent models — demonstrates once again why Apple’s handset is the one to beat, even as it faces fierce competition from phones based on Google’s Android platform, among others. As with previous iPhones, the latest model breaks new ground. FaceTime video calling on the iPhone 4 is one of those cool “seeing is believing” features, and it arrives on top of several across-the-board enhancements. And iOS 4 is a mostly terrific software upgrade. Cutting through the hype, Apple has given longtime diehards, and first-time iPhone owners, plenty to cheer about. The fourth incarnation of Apple’s iPhone is an incrementally improved, familiar device—not a new kind of device, as was the case with the recent introduction of iPad. Yes, the notable features with iPhone 4—both the device and the iOS4, which came out yesterday in advance of the iPhone itself—are mostly tweaks. But what tweaks they are: Apple’s focus on improvement is as much key to the quality of its products as innovation. But there’s one flaw it doesn’t eliminate: the unreliable quality of calls placed over AT&T, which remains the iPhone’s only U.S. carrier. 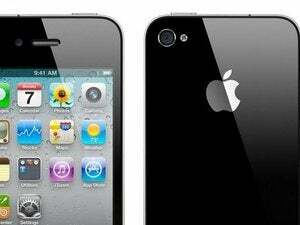 Updated at 4:10 p.m. PT to add David Pogue's iPhone 4 review.